Red Hot™ ‘75-10’ | Florida Foundation Seed Producers, Inc. 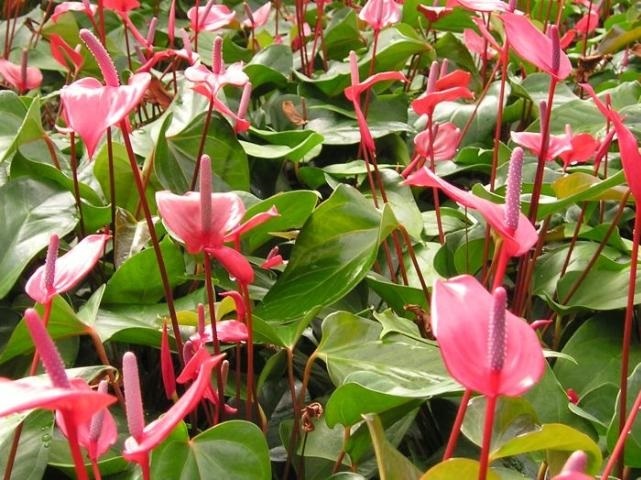 Description: Leaves of Red Hot™ ‘75-10’ are dark green, lanceolate, 18 to 20 cm long, and 11 to 12 cm wide near the base. This cultivar has grayed-orange peduncles and flowers that are held well above the foliage. Red Hot™ ‘75-10’ is very floriferous, and is intended for commercial producers growing finished plants in 1.6 or 3.9 L containers.